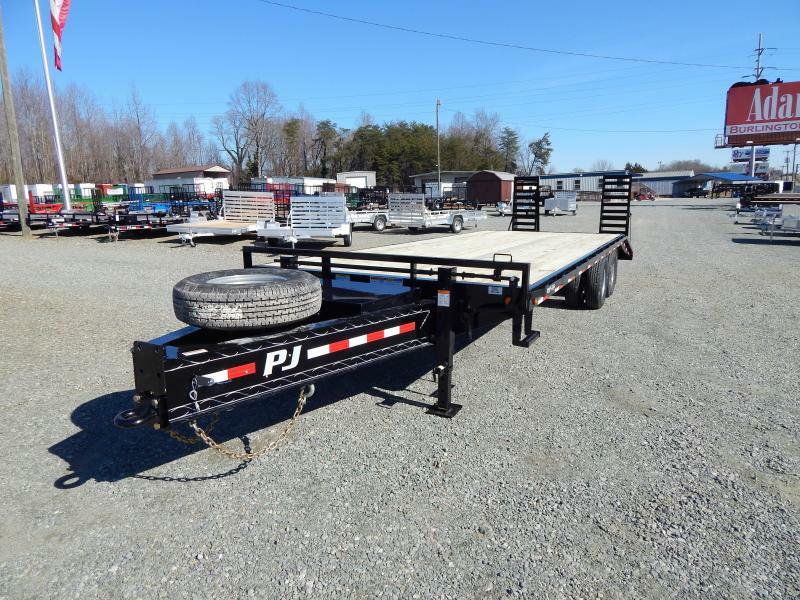 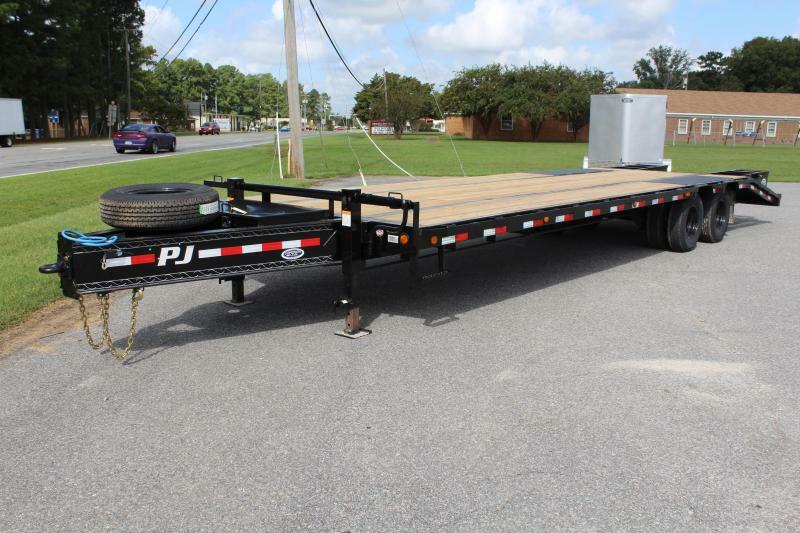 PJ Trailers makes several styles of flatbed and over the wheel trailers in both gooseneck and bumper pull. 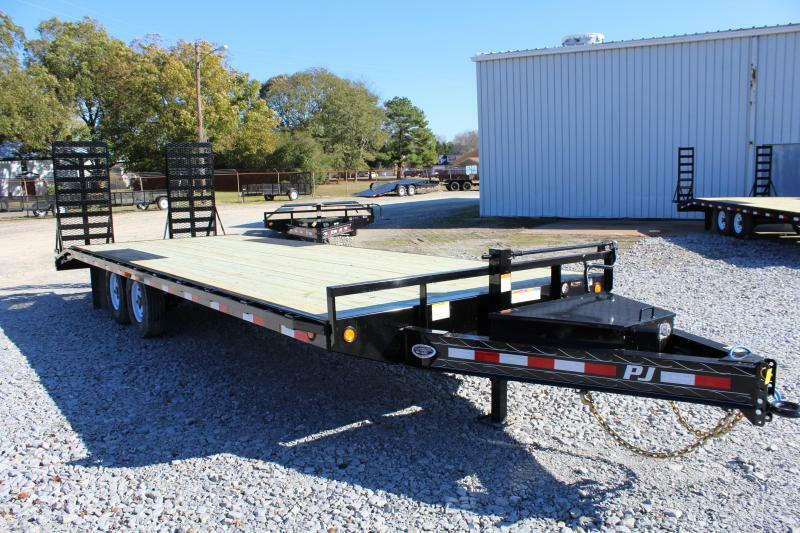 Also referred to as deckover trailers they are available in the classic flatbed with single wheels or dual wheels for heavier loads. 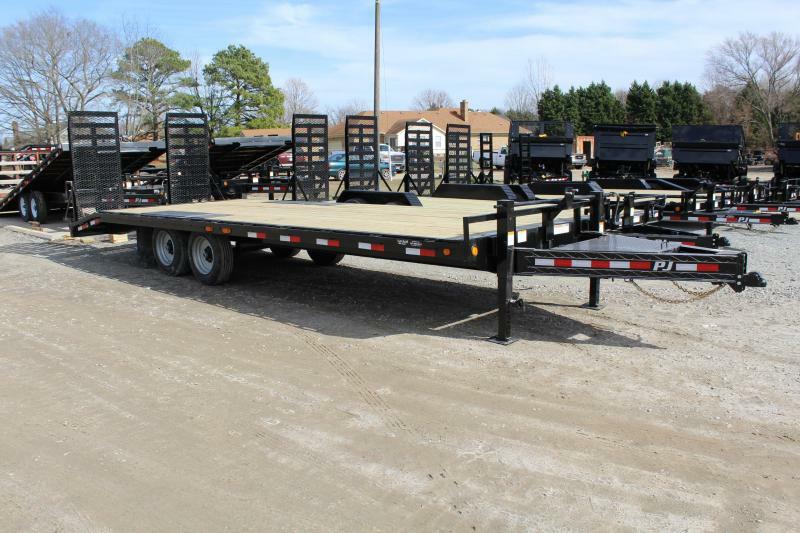 The low profile models called lowboys are designed for customers looking for the lowest deck height available. 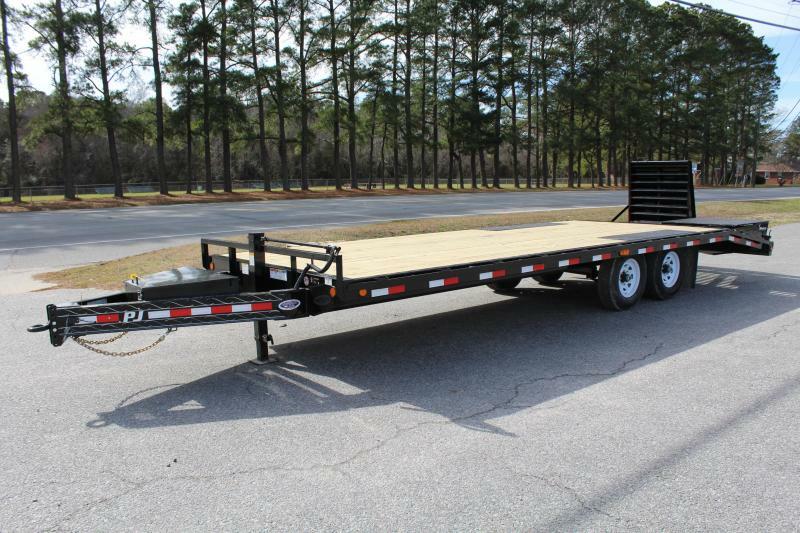 The GVWR can be 14K or 16K for you bobcat or tractor, 20K to 30K models for a backhoe or excavator. 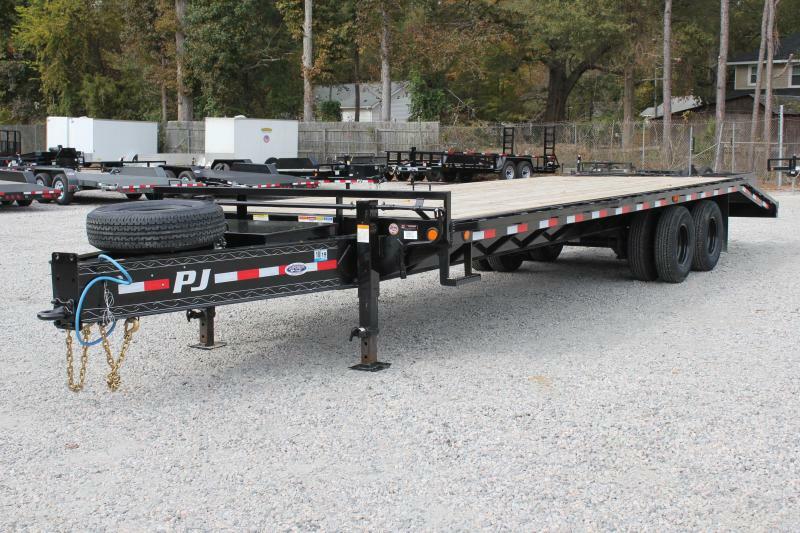 These flatbeds are available in gooseneck, bumperpull, or pintle couplers. 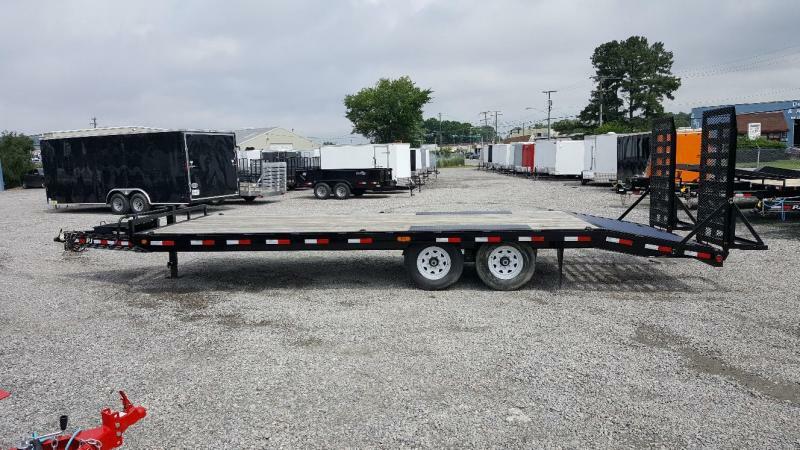 Superior Trailer keeps a large inventory of trailers with the most popular features including hydraulic dovetails, hydraulic jacks, air ride, electric or hydraulic brakes, torque tubes and more.